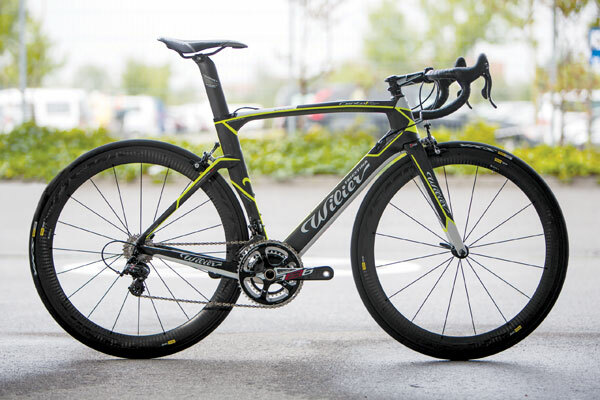 Wilier has unveiled its latest creation, the Cento Uno Air, its first foray into the aero bike market. New to the 2014 range, the Cento Uno Air has been designed with the intent to combine the ride qualities of the company’s existing road frame, the Cento Uno SR, with the aerodynamic benefit of its Twinblade TT bike. For fans of the SR, the geometry is very similar, but that’s where it ends. Wilier has applied Kamm tail tubing – a method frequently used in the car industry – to minimise the aerodynamic drag of the Air. The low-sitting rear stays have also been redesigned to be more slippery in the wind, and the oversized asymmetric chainstays have been adapted to facilitate a wider BB386 Evo bottom for greater pedal efficiency. The Cento Uno Air has an integrated fork that’s much wider than usual. It’s claimed the greater width is not only more effective in the wind but that it also provides greater stability and control. With a lowered down tube, the fork crown sits gracefully in the frame’s silhouette. No stone has been left unturned in the hunt for greater efficiency. The top tube has a custom aero seatpost with the clamp sitting flush. 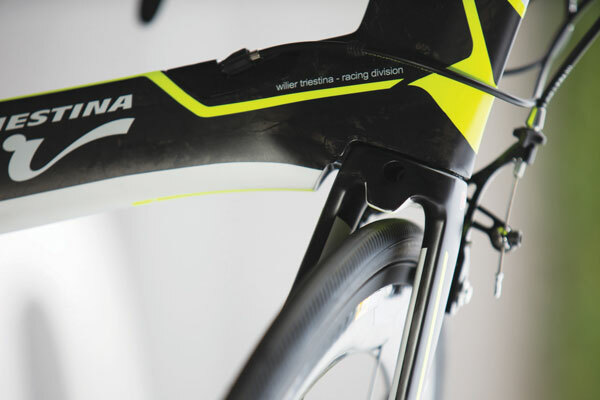 This is true to Wilier’s design ethos and keeps the silhouette of the Air sleek and uncluttered. Wilier claims that the weight of the Cento Uno Air (medium) is 1,120g, which means that these wind-cheating tweaks haven’t spoiled the diet. The SR has a claimed weight of 900g, not too much of a deficit when the Air is claimed to save on drag. The Cento Uno Air will be available from September 2014 in a range of six sizes and five standard colours. Packages will be tiered to suit price points and preferences for mechanical and electronic groupsets. 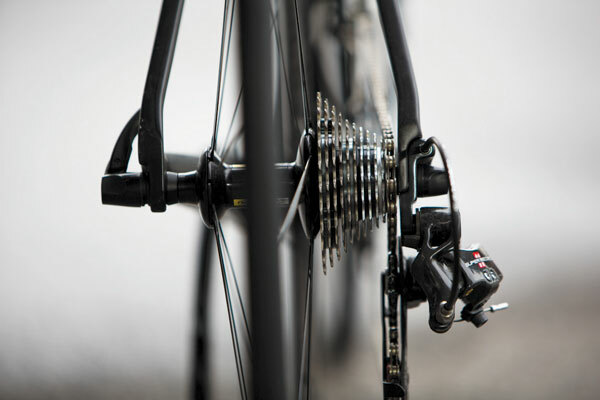 They start at £3,750 for Ultegra 11-speed and go up to £5,499 for Dura-Ace 11-speed.